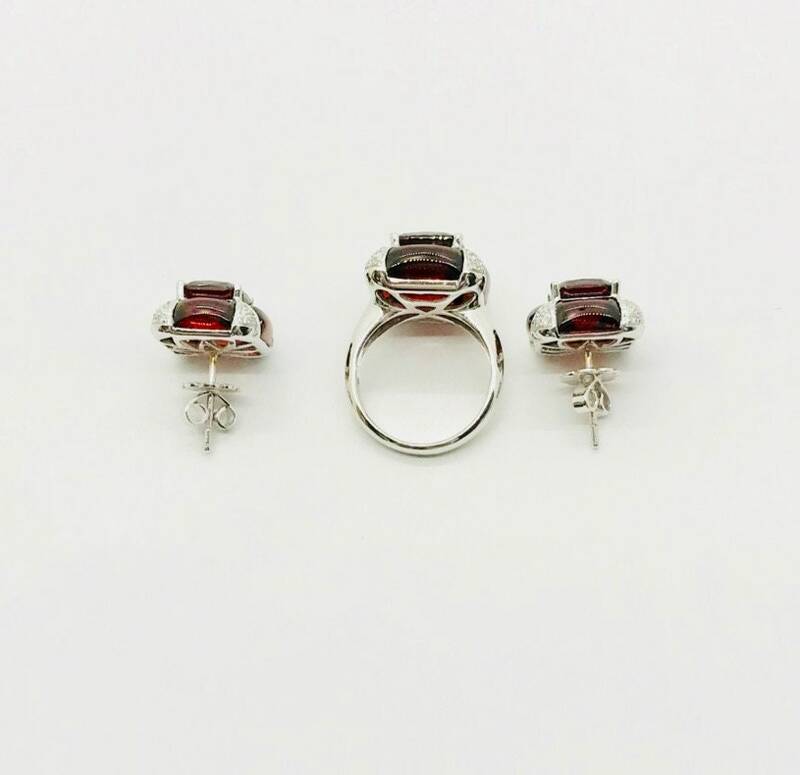 18 karat white gold garnet and diamond ring and earring set signed GADI. 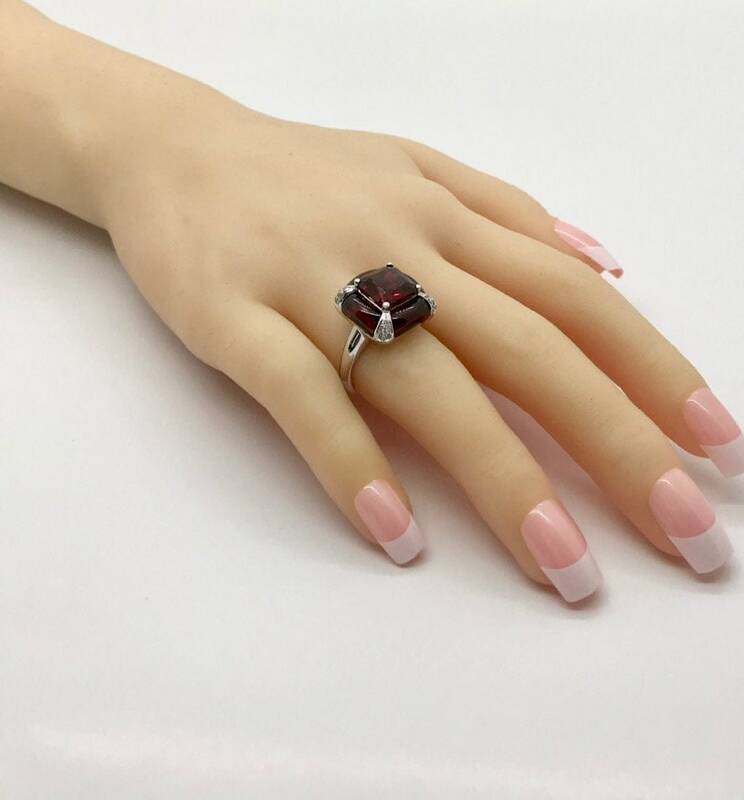 The ring contains one cushion cut garnet measuring approximately 9.70mm x 9.70mm and is considered to be moderate to dark red in hue. 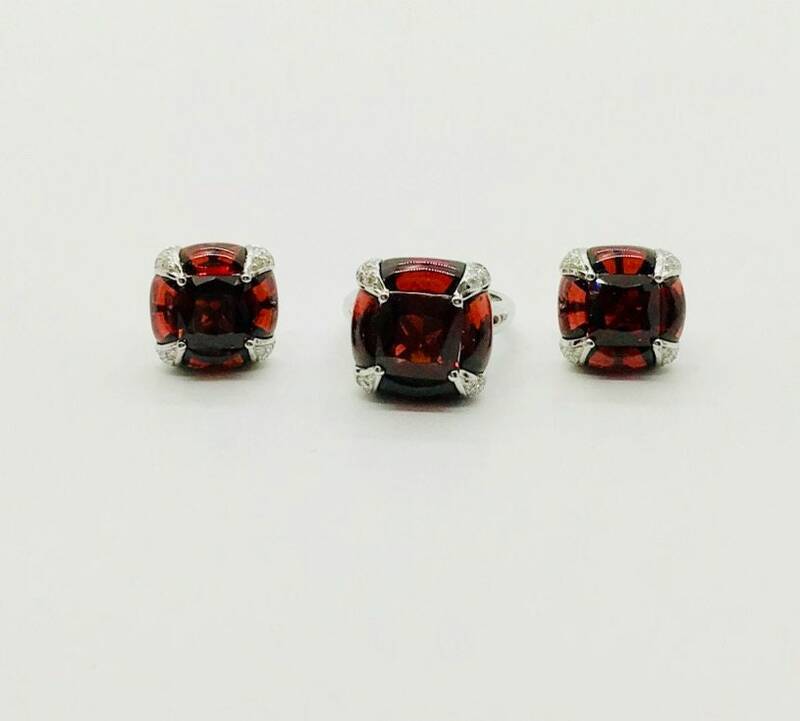 Set in a "halo type style" are 4 rectangular cabochon cut garnets measuring an AVERAGE of 9.50mm x 5.56mm and are also considered to be moderate to dark red in hue. At each corner of the ring there are 5 full cut round brilliant diamonds set into an 18 karat white gold accent. An estimated approximate total weight of the 20 full cuts is 0.35 carats. 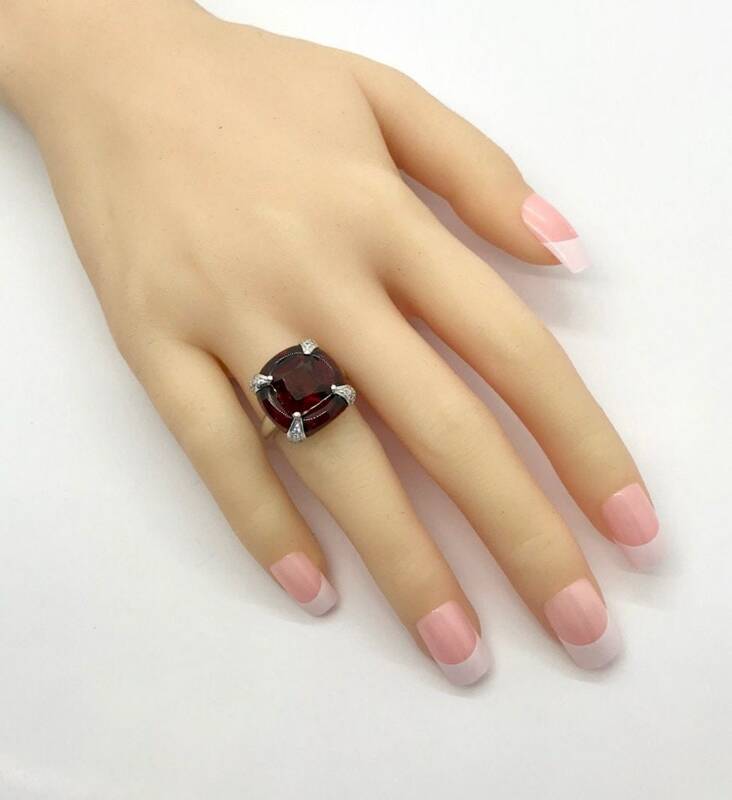 Ring Size: 6-3/4 can be sized. 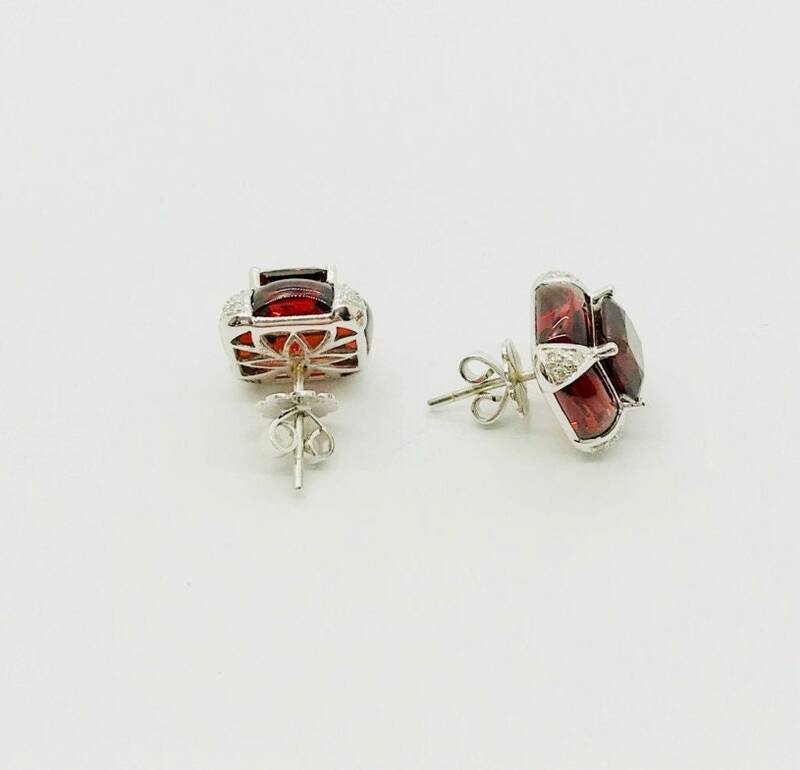 The matching earrings each contain one cushion cut garnet measuring an AVERAGE of 8.30mm x 8.30mm and are also considered to be of moderate to dark red in hue. 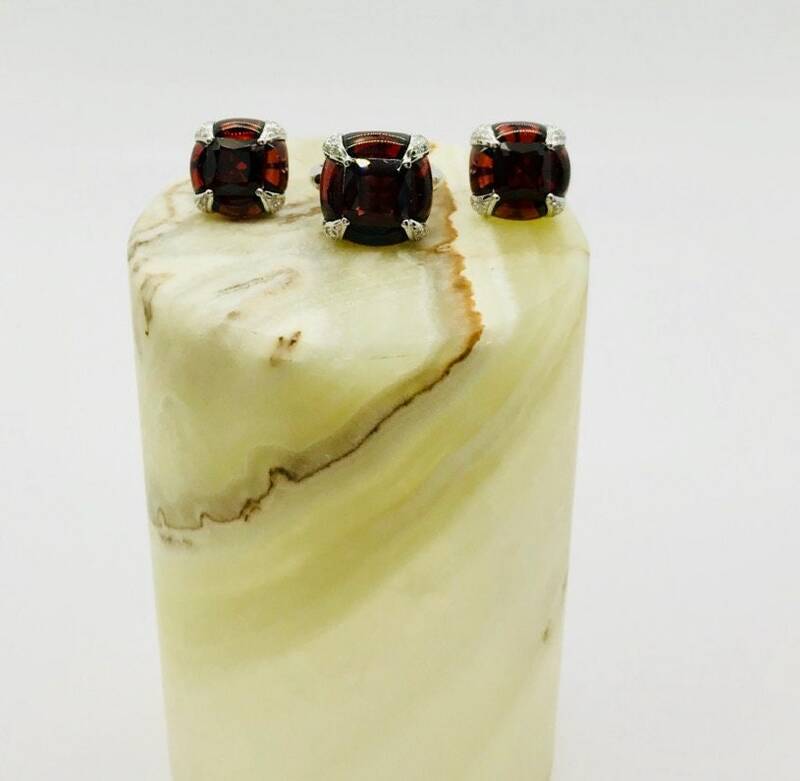 Set in a "halo type style" are 4 rectangular cabochon cut garnets measuring an AVERAGE of 8.03mm x 4.90mm each and are also considered to be moderate to dark red in hue. At each corner of the ring there are 3 full cut round brilliant diamonds set into an 18 karat white gold accent. An estimated total weight of the 12 diamonds is approximately 0.12 carats. The earrings are secured with push backs. Gadi has been the business for over forty years, designing semi-precious and diamond jewelry.